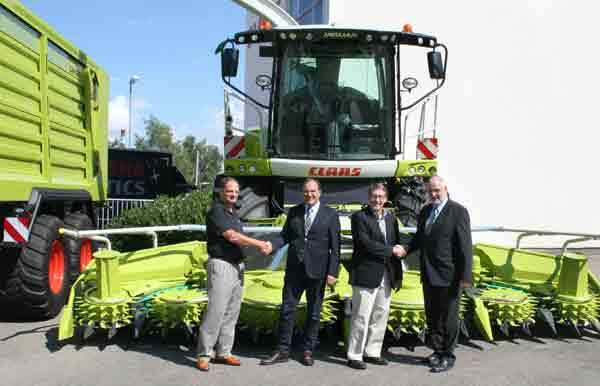 CLAAS has acquired the SHREDLAGE technology, patented and made famous worldwide by the eponymous US company. Just last year CLAAS signed a license agreement with the owners of this new method of maize treatment. The parties agreed not to discuss the contractual details publicly. "We are convinced that SHREDLAGE delivers a clear benefit to the customer. 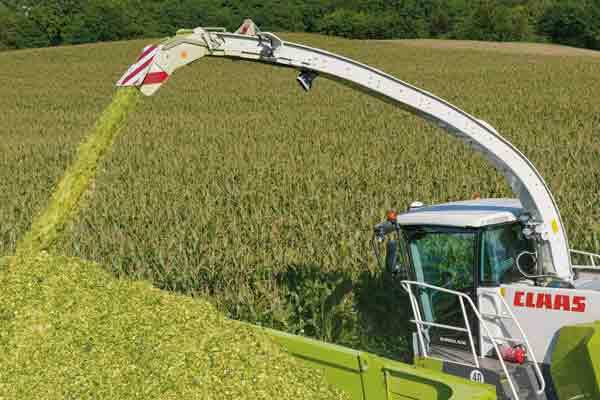 By taking over this well-known brand, we are now adding the finishing touches to our technology concept as international market leaders for self-propelled forage harvesters", explains Hermann Lohbeck, responsible for the Forage Harvesting Division on the CLAAS Executive Board. The technology known under the brand name SHREDLAGE is a pioneering form of maize silage treatment used by increasing numbers of dairy cattle farmers in regions lacking in grassland. The method involves chopping the maize into unusually long sections of 26 to 30 millimetres. Downstream treatment using the SHREDLAGE cracker technology is key to the entire process. The intensive conditioning of the material enlarges the surface area of the chopped product many times over in a way that is designed to significantly improve bacterial fermentation after ensiling and above all during digestion in the cow's rumen. The aim of this process is to substantially increase the structural effects of maize silage in the rumen while simultaneously adding to the availability of the starch contained in all plant parts. This could lead to an increase in milk yields. In addition, the rumen-friendly silage structure is believed to improve the health of the herd. SHREDLAGE offers dairy farmers other benefits as well, besides greater milk yield and improved animal health. Its optimum starch conditioning allows for a reduction in the use of concentrate while still improving the milk yield. The need to supplement with highly structured fodder such as straw can be reduced or even eliminated altogether, producing even more savings. "We are thrilled that the inventors of the technology used as part of the SHREDLAGE brand, Ross Dale and Roger Olson, will remain on board to advise us and our customers", says Hermann Lohbeck. This is an international product, the range and equipment variants can vary in certain countries. In case of doubt, please contact the CLAAS sales company or the CLAAS importer of your country.